The faith journey of this congregation started in 1916, continues to grow and flourish as a worshiping and a witnessing community in the city of Chennai, initially with Christ Church - Alandur,then as a part of the Church of Jesus the Savior - Saidapet and then since 1983 as a full-fledged pastorate. In the year 1927, the Church Missionary Society (CMS) members purchased a land (120X120) in Aramanaikaran Street which later changed in to Abdul Razack Sahib street which is currently known by the name Abdul Razack street.Initially the congregation was known by the name “C.M.S St. Thomas Church” and Mr. D. Solomon was appointed as Catechist. In year 1933 the church was extended a bit and retired District Forest Officer Mr. S. V. Devadasan used part of his savings to renovate and separate parsonage was built. Alandur church, Pallavaram church and our church combined as known as Alandur Pastorate. Also these 3 churches have Chairman, Pastorate Committee, and Church Accounts in common. Alandur church was considered as the head among these churches and all the main events will be conducted here.In 1947, a few mainline churches such as Anglican Church, Methodist Church, Congregationalist Church and Presbyterian Church had formed a union called “Church of South India”. In 1958 the church was fully demolished and built a 40X25 new building and during that 6 month tenure the services were conducted in Gospel Hall belonged to American Advent Mission. The newly built church building was inaugurated by then Bishop Rt. Rev. David Chellappa. In 1975 church was extended again (40x30) and been inaugurated on 13.12.1975 during the period of Bishop Rt. Rev. Sundar Clarke. The Altar wordings “Holy HolyHoly, Lord God Almighty” were then fitted. 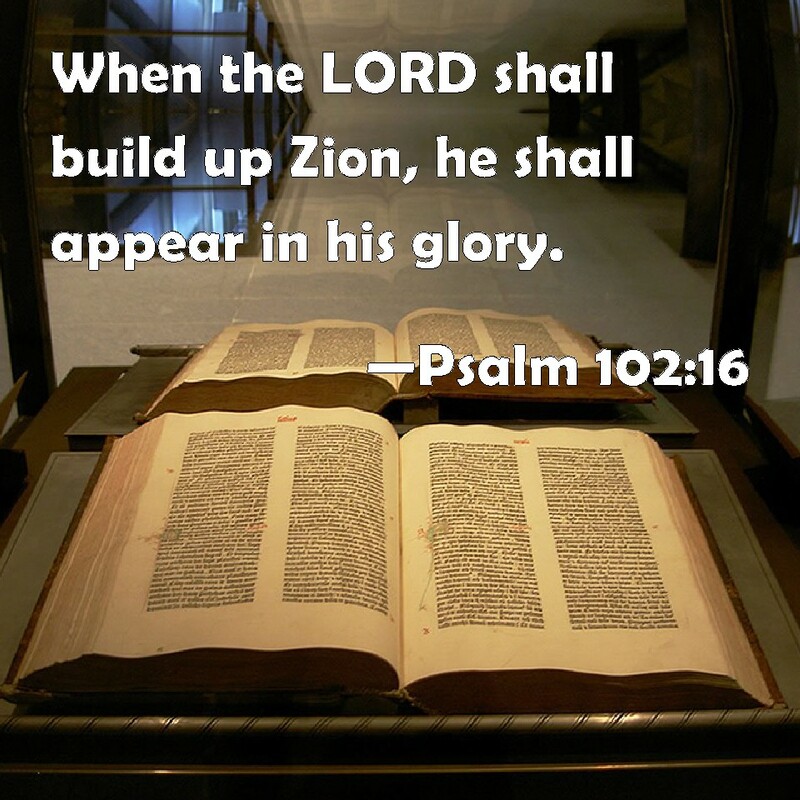 In 1983 due to increase of membership the church was given the status of full-fledged independent pastorate and Rev. M. Karunakaran was appointed as Pastor. Separate parsonage was not available during that period and pastor’s who had been taken in-charge during that period had been staying in a rented housed outside the church. During the period of Rev.Chandran Jeyakumar Lite separate parsonage was constructed and inaugurated by then Bishop Rt. Rev. M.Azariah on 30.01.1998. The new parsonage was built during the period of Rev.Dr.Bakthan Theophilus with separate rooms for choir and office. 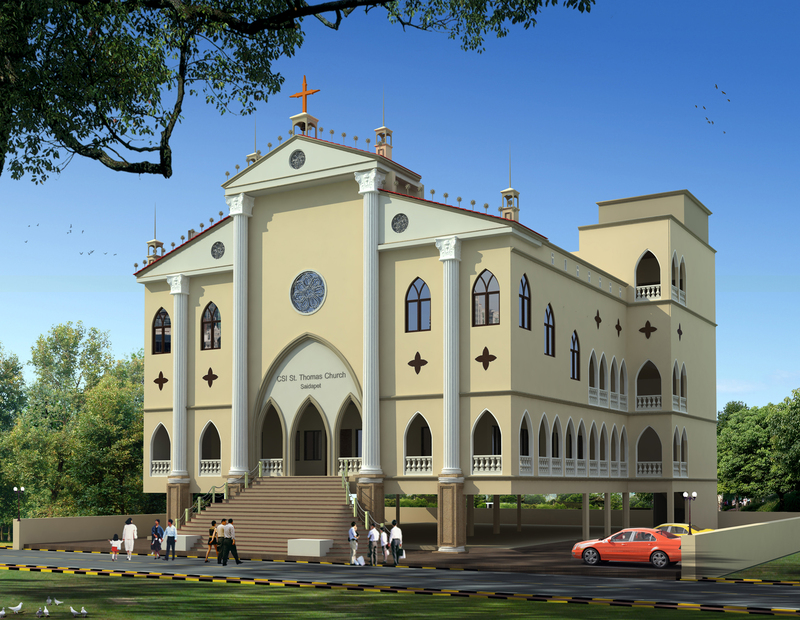 In 2012 during the period of Rev.Francis Rajadoss new proposed building of 90X76 with balcony have been inaugurated by then Bishop Rt. Rev. Dr. V. Devasagahayam on 02.12.2012. 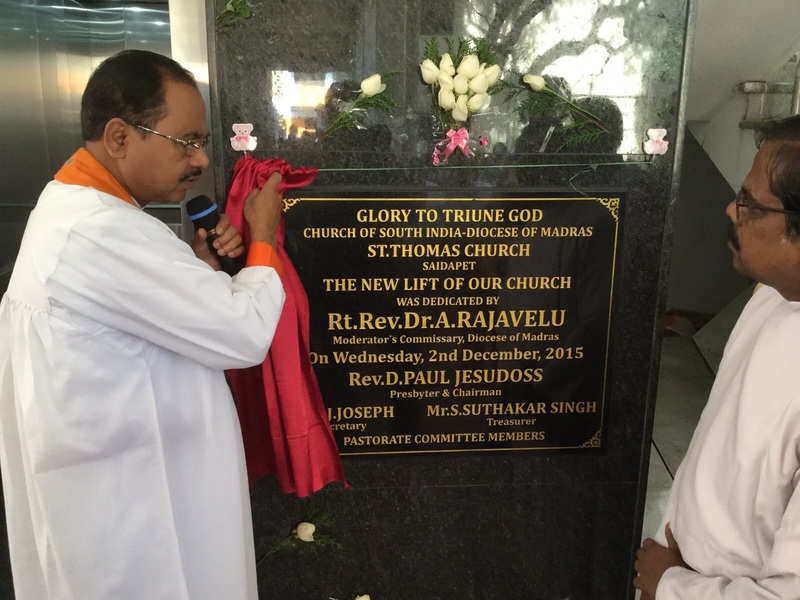 New Lift has been dedicated on 13.12.2015 during the period of Rev. Paul Jesudoss and been inaugurated by our Rt. Rev. A. Rajavelu, Moderator’s Commissary.